Andrew has been interested in physical fitness and wellness since he was a child. When he was in grade school he made sure his homework was done first thing so that he could go outside and play in the park next to his house. His love of sports and fitness carried through his Emmaus High School years where he played on the football team and excelled on the Marine Youth Physical Fitness team. During his senior year in 2004, he was the overall individual male champion at the National High School Marine Fitness Competition held in San Diego, California. He enjoyed those experiences so much that he decided teaching physical education and health would be a great career, as well as an excellent way to impart those interests to the young people in his community. 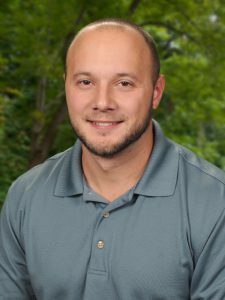 Andrew earned a Bachelor of Health and Physical Education degree at East Stroudsburg University in 2008, and a Master of Health and Physical Education degree in 2013. In the summer, he supervises the playground program for the Allentown Parks and Recreation Department. He has also been the assistant coach for the Emmaus High School Marine Youth Physical Fitness Team since 2008. At home, Andrew enjoys playing with his son. He loves watching him grow and being a good father and role model to him. When he’s not playing with his boy, Andrew loves any kind of exercise, because working out is where he feels most comfortable. He’s a huge fan of the Dallas Cowboys even though he tends to catch a lot of grief for that. After serving as a substitute teacher at Seven Generations for the 2009-2010 school year, Michelle joined the staff full time as a Third Grade teacher in fall 2010, and moved to First Grade in fall 2013. In 2017, she began a new adventure at Seven Gen as a Reading Teacher. Born and raised in Allentown, she earned her B.S. 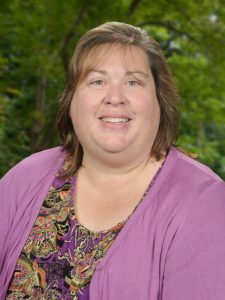 in elementary education and early childhood from Kutztown University and her ESL Certification from Lehigh Carbon Community College, in 2010. 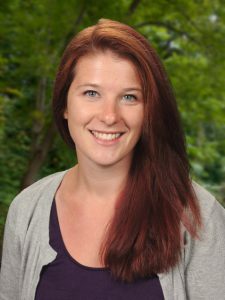 In addition to substitute teaching at Seven Gen and acting as a group supervisor for preschoolers at a local childcare center, Michelle worked in the Education Department at the Lehigh Valley Zoo as a Conservation Educator. As at the Zoo, Seven Generations allows her to integrate her two main loves – teaching and nature. Living in Walnutport just minutes from Blue Mountain. Her backyard is one of her favorite places with the view of the mountain, surrounding forestry, and a variety of wildlife visitors its a relaxing atmosphere to truly take in and appreciate all of nature’s beauty. Michelle enjoys spending time with her family and friends, particularly sharing her passion for the outdoors with them. She has a pet Leopard Gecko named Zoey, and a cat named Bobcat and her favorite things to do are hiking, going to the beach, landscaping/gardening with her husband Mike and keeping up with toddler son, Maxwell. Contact Michelle Costello at michelle.costello@sevengen.org. Carolan worked in the restaurant industry from the time she was in high school until 2008. For 17 years, she and her family owned a luncheonette in downtown Reading, Pennsylvania where she served as the manager, cook, and dishwasher at times. However, she felt a calling to be a positive, encouraging role model in children’s lives. Since she always loved school and learning, she started taking night courses at Kutztown University. She earned her bachelor’s degree in secondary education with a concentration in English in 2011. 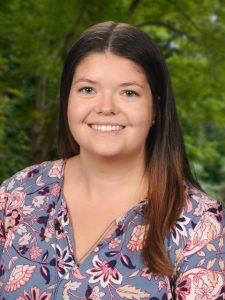 She returned to Kutztown to pursue her master’s degree in 2013, and earned her master’s and reading specialist certification in the summer of 2015. She was a substitute teacher in the Fleetwood, Oley and Kutztown school districts before joining our staff in 2016. Of course, one of her favorite hobbies is reading. She also enjoys cooking and trying new recipes. Other pursuits include travel, movies, and planning fun events for her family. Contact Carolan Gehret atcarolan.gehret@sevengen.org. After graduating with a BFA (printmaking/illustration) from Rochester Institute of Technology, Jen worked for over ten years in the design industry as an Assistant Director in advertising, Layout Designer/Illustrator for Rodale Books, freelance Illustrator/Graphic Designer, and Art Director for a ribbon and pottery company. Jen felt the pull of teaching, wanting to share her experience and passion in visual art. Witnessing the downfall of art in schools, she was determined to keep creativity as part of a strong foundation. She received her Education Certification (Art K-12) from Moravian College, and worked in the Allentown School District for six years before joining Seven Generations in 2010-11. On a personal level, Jen loves to organize spaces and transform them into something functional and beautiful. She claims clutter makes her uncomfortable, but quirky surprises in unusual places make her laugh. Art is a big deal, and she prefers large-format, collaborative pieces. This can be in the form of work created individually and then placed together or an all-out, high-energy conglomeration of awesome. A native of upstate New York, she prefers fall and winter. She feels landscapes are most beautiful with the changing colors that segue into snowy shapes. She jogs, skis, sleds, skates, snowshoes, and has been known to start a snowball fight or two. Or she’s off on travels with family and friends. She’s been throughout the USA, France, Belgium, Portugal, China, and Canada. Her favorite places so far are Paris, Northern California, Portugal, and home (Fogelsville). Contact Jennifer Miller at jen.miller@sevengen.org. Kate was born and raised on the North Shore of Massachusetts. She always knew that she wanted to share her love of music with others, and loved working with kids during her years as a counselor at 4-H Camp Leslie. She earned her Bachelor of Music in music education from Syracuse University. After graduating, she returned to Massachusetts where she taught choral and general music in the North Andover and Marblehead school districts and private voice and piano lessons in Georgetown. She moved to the Lehigh Valley three years ago to pursue a Master of Education degree at Moravian College and to be closer to her fiancé. She also taught voice and piano lessons around the area, and gained experience in the field of special education with Colonial Intermediate Unit 20. Kate is a member of the Concord Chamber Singers and jumps at any music performing opportunity that comes her way. She is an avid yogi and practices daily. She absolutely loves animals, and can’t wait to adopt a dog to go with her two cats and guinea pig. Kate also occasionally makes the trip back to Massachusetts to visit family and friends and spend time at the beach.Contact Kate Ressler at katherine.ressler@sevengen.org. Johanna earned her B.A. in environmental studies from Gettysburg College then student taught and worked as a long-term substitute at New Oxford High School outside of Hanover, Pennsylvania. For the past five years, she has also spent her summers working as a Naturalist at Wildlands Conservancy. 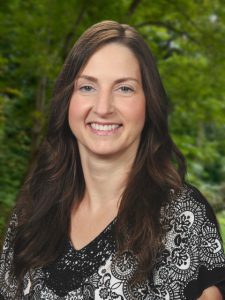 Johanna always wanted to be a teacher, but it wasn’t until she got to Saucon Valley High School and began taking exciting science courses such as bioethics, ecology and environmental science that she discovered exactly what she wanted to teach. Her studies at Gettysburg enabled her to focus on environmental education and her time as a conservation camp counselor gave her practical skills. So when she learned about the Environment and Ecology position at Seven Generations, it was like her dream job came knocking on her door. She is very excited to combine her environmental, science and teaching passions at our school. Her favorite place to be is outdoors so her hobbies include everything from hiking to kayaking to body surfing at the beach. She also has a huge space in her heart for animals, art, and reading! Contact Johanna Roche atjohanna.roche@sevengen.org.